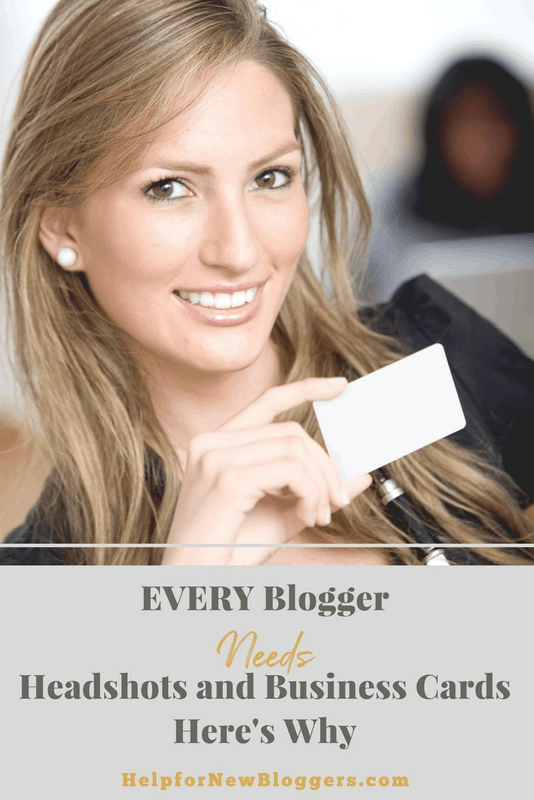 When you are starting out as a new blogger, I know it’s overwhelming and hard to know what you need and what you don’t need. However, after more than a decade of blogging, these are two things you definitely DO need. You need business cards and professional headshots of some kind. Now I’m assuming that you are a professional blogger. If you’re just a hobby blogger who just wants to share pictures with your family and a few friends. Or if you’re just dipping a toe into the blogging world, you can probably get by without them. But if you are monetizing and you want anyone to take you seriously, this is going to be a must for you. Now, this does not have to be a huge big deal and it’s doesn’t have to be expensive. You can actually do this quite cheaply. Vistaprint has full-color business cards for about $15-20 bucks and they have many classy and professional-looking designs to choose from. Headshots, I had done by my friend’s sister (a professional photographer) for about $30 bucks. And over the years, I have gotten MORE than my money’s worth out of both of them! When I went to get my headshots done (like 4 years ago), I have to admit, I felt a little silly and a bit vain. But I have to say, I am SO glad I did it. I have used those puppies a ton! And not just in relation to my blog – I use them at my Corporate job, in my personal social media, for church newsletters, just about everything you can think of. Any time someone needs a photo of me, I have a clear and professional-looking pose to give them. And I’m not especially photogenic, so this is probably the ONE picture I’ve ever had turn out nicely, so I may use them for the next 20 years! To find a photographer, ask around in your blogger groups. Most bloggers are great photographers – we have to be. A few times a year someone in one of my groups will get together and do these headshot shoots. She’ll line up 5 or 6 bloggers, pick a location around town somewhere and allow 20 minutes per person for $30-$40 bucks. It’s a great way to make a bit of extra cash and help your blogger friends out too. Then they edit the pictures and send you electronic copies. Easy peesey! I think the headshot is slightly MORE important because that’s how people form their impression of you. It’s sort of your electronic business card. You’ll notice that I have a copy on my sidebar, on my About Me page and I also include it in each newsletter. It also shows up on each of my social media profiles, although I do use different poses sometimes just for variety. This gives people a way to connect with you and gives them a way to figure out who you are. You headshot should be just YOU, no kids, no husbands (unless he is part of your business), no pets or props. Face the camera and try to manage a natural smile. You can be looking off in the distance rather than straight on, but you should never be looking DOWN or sideways. I saw someone like that the other day and it looked as though he was ashamed of his profile. (It was a pretty bad profile, so maybe he should’ve been). You want non-distracting colors and a plain or blurred out background. It’s definitely not one of those glamour shots with tons of makeup and poofy stuff. A headshot should definitely look like YOU – just you on a day when you are really well rested and looking your best. You should exude confidence and dependability and a good photographer can help you achieve that. That’s why you need a good photographer – they know all the tricks to get the lighting just right, minimize any double chins, or muffin tops, put you in front of a background that is not going to be distracting, and then they can crop and edit the finished shots into something that looks great. Hopefully, they will give you some good tips on clothing and makeup. Pay attention to what they say. You don’t want something too busy or distracting, and you want just enough makeup that you look natural, but pretty. Once you get a great shot, set it and forget it. People become slightly disconcerted if you change your profile photo often. There really is an art to creating a business card for a blogger. It’s not like traditional formal business cards where it’s a very defined format. I’ve seen them every color of the rainbow and some are unique and very impressive-looking and some are well, pretty lame. Hint – spend a bit extra and go for impressive! It might just pay off. You’ll want to match your business card with your niche and personality. I tend to be kind of flashy and sassy, so my business cards really represent that. For one thing, they’re printed vertically rather than the traditional horizontal style. It’s kind of a quirky style that takes people by surprise and stands out in a stack of look-alike cards. I try to match them to my site colors which are turquoise and zebra print on my lifestyle blog, and navy blue and gold on this site. But it’s an area where you can get really creative. Take your time and get lots of input from your blogger friends. This site is fairly new, so I’m still working on coming up with the perfect design. One thing you may notice is that I don’t put a ton of personal information on my cards. Most people automatically put their full name, home address, and cell phone number on their business card. I feel like that’s a lot of information to hand out to someone I don’t know well. For one thing, I may hand these out to 50 people at a blog conference, and I’ve known most of them for less than 5 minutes. There is enough information on there for them to contact me (and I can always write my cell on the back if I want to), but not enough for them to stalk me if they turn out to be a nutball. That sounds a little mean, but I think it’s pretty smart. In the social media world, you need to be just a tiny bit cautious. You do want all your social media connections on your business card. Hopefully, you have separate ones for your site vs. your personal Facebook and Instagram profiles. That’s always a smart move and more business-like, but it’s your party, you do what works for you. Who to Give a Business Card to? Now maybe you are wondering who you are going to give these cards to? I’ll tell you – LOTS of people. Blogger networking events should be your bread and butter. If you haven’t been to a blog conference or a local blogger event, what are you waiting for? These are absolutely your BEST sources of knowledge, support, and friendships in the blogger world. Go check out my article on what to pack for a blog conference and the 5 best friends a Mompreneur needs. Find a local blogger group in your area and they will likely host several different events throughout the year. Great way to meet sponsors and hand out your shiny new business cards. Plus you usually get great food, free stuff, and chances to connect with people who can help you. But I give them to friends, new acquaintances, potential sponsors, and other bloggers that I meet around town. It’s probably the first thing a new blogger friend will ask you for, so I always keep a little metal case in my purse full of business cards. Then I tuck theirs in the back so I don’t lose it. Even if you are “just a Mom”, it’s kind of cool to be able to give a card to a new friend. It certainly beats scribbling things on the back of an envelope or trying to put it in someone’s phone. A lady in my exercise class mentioned she was moving – I have a great post about packing for a move. I gave her my card and she ended up hiring my husband to do some handyman work on the house she was selling. Win-win! I also have great posts on cruises, so if someone is going on a cruise, they get a card. See how this works? It’s FREE advertising and you might make some adoring fans that way. They even make great gifts. When one of my nieces was about 11 and starting to babysit, I gave her a set of her own business cards as a birthday gift. She was thrilled and gave them out to everyone she knew, and it got her some great babysitting jobs. I had business cards made up for my Scout Troop and I carry them everywhere I go. Whenever I find a likely boy, I can give that card to him to give to his parents. It has the Scoutmaster’s info on it, the times and place we meet, and a little background about our Troop. It’s just a great tool to have on hand. 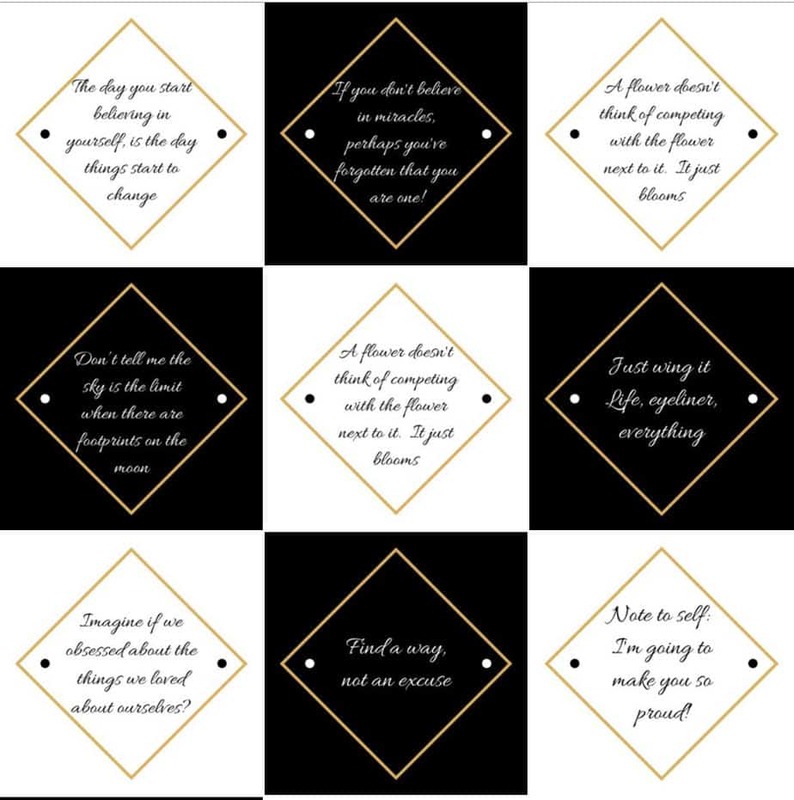 People are usually really impressed that I have cards and I think it makes them see me in a whole new light – as an actual business owner and not just a hobbist. I’m interested – do you have headshots or a business card? Did this post make you feel like you want to get some?